This a very attractive clock. It has kept very accurate time for a couple of weeks so far. I might purchase this clock again perhaps as a gift. I HAVE to wake up by a certain time, in order to stay on a medication schedule. If I'm feeling especially bad, I can sleep right through other alarms. This clock really works! 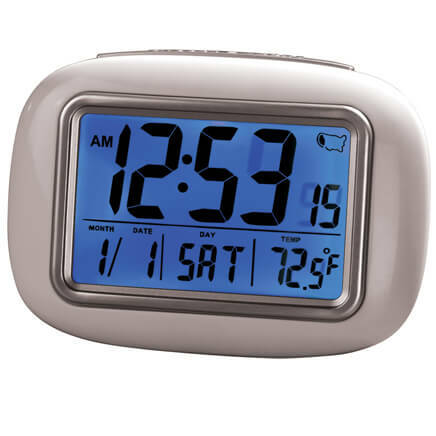 It couldn't be easier - it takes one battery, then you set the alarm time, click the "ON" button, and that's it. And yes, if you hit "Snooze" button, you get 4 minutes, then a louder alarm. It's great! Very easy to set the time and the alarm. I like the clear numbers. It works does exactly what is suppose to do. In fact I bought 2. I love this clock. I needed a loud alarm. I am mostly deaf in one ear. I sleep on the good side so it needs to be loud. The back is difficult to remove so I leave it off. The alarm wasn't anywhere loud enough. The alarn wasn't loud enough for me. 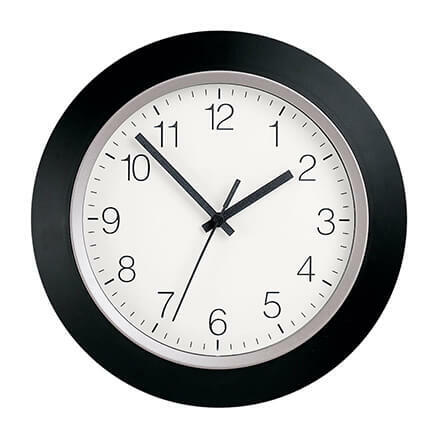 This clock looks good....but being classed as a loud alarm is not true. It's beep is low, and even when it increases the volume, it is still low. AND it quits all by itself in just a minute. I bought two, and one now does not beep at all, when set. 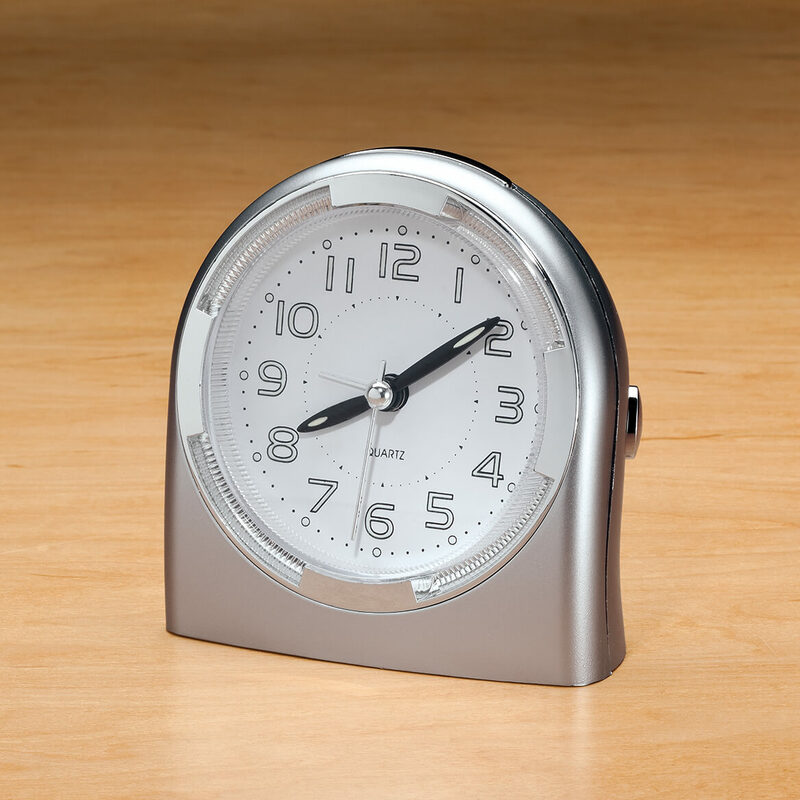 fatal design flaw makes this clock unusable! I need to set alarm for different times on different days. Very annoying to have to remove battery cover EVERY TIME I change alarm or reset the time. Will have to replace it. Loud alarm needed and this alarm is not very loud. of battery compartment....not very handy. The alarm certainly would not wake a heavy sleeper and the knobs on the back to set the alarm were too difficult to access. You get what you pay for and this was a cheap clock to purchase and it was quite a waste of $$. This clock does not work for 'heavy sleeper' at all. Sound is very soft at least for me. I am disappointed! The knob for setting the alarm broke off in its first use. Now useless and never got to use it. This is sold for "heavy sleepers"
It is does not have a loud alarm. It is not a good product. I am sending it back. Also the back is hard remove to change clock or alarm. It definitely would not wake me up. The alarm is too low. If you are a sound sleeper, hard of hearing, CPAP mask on, this is NOT for you. The first ring is so soft, the above can't hear it. It get's louder with each snooze, but you must hear that first alarm to hit snooze. I'm so sorry we didn't read the reviews. My niece needs help waking up for school. I thought it was a good item .... turned out it wasn't!! So that it would wake me up better than the alarm clock that I had been using. My daughter and I both have trouble waking up to a regular alarm clock, so I thought this would help us both out with getting up in the mornings so appointments will not be missed again. 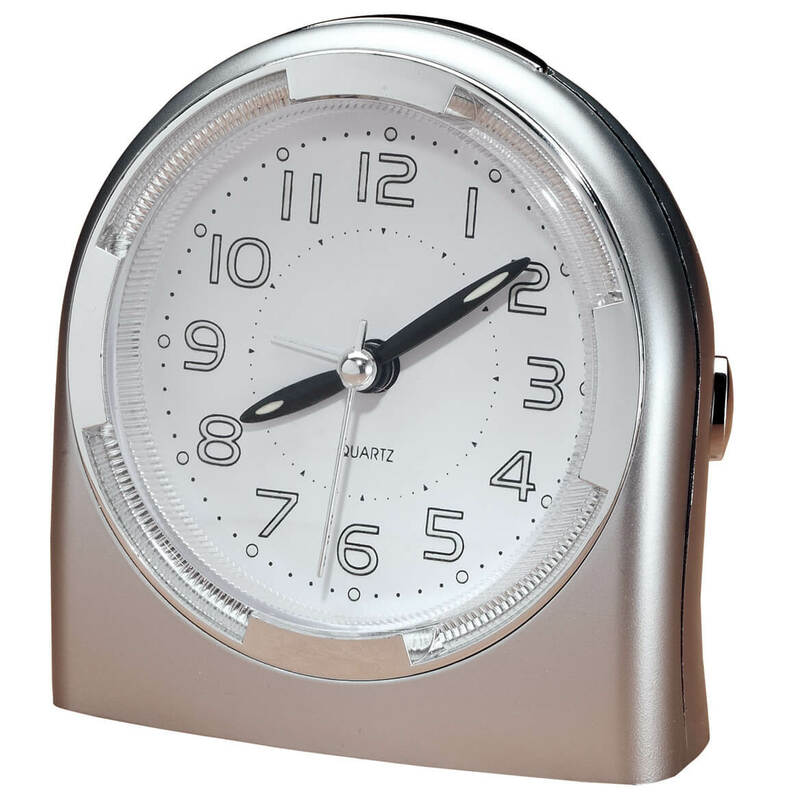 I need a small clock when I travel with a loud alarm as I have hearing defeat. 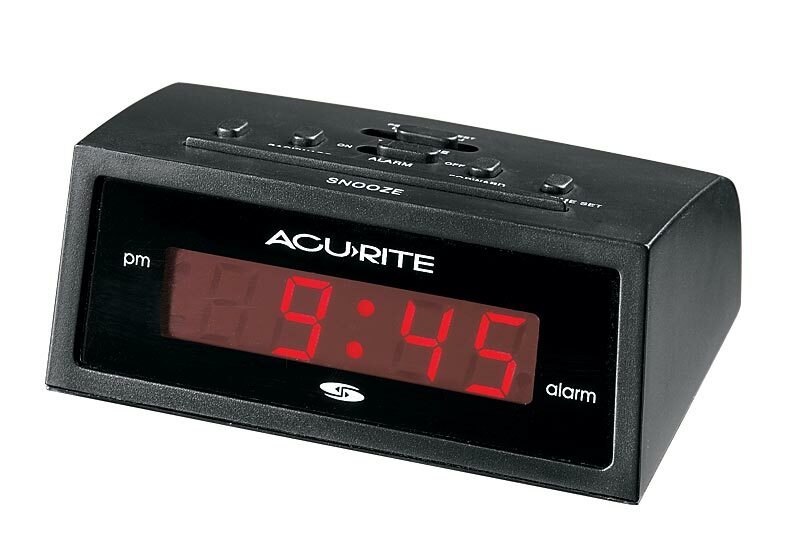 I have one of these little alarm clocks and I am ordering a second. It starts out quietly and gradually gets louder. That is preferable to some loud blaring alarm when I have to get up because it does not startle me. I recommend this clock. Needed a loud alarm. This is NOT loud. Both sons a very hard sleepers & Sleep through most alarms. This is a present for my niece who uses her phone for her alarm clock, which sometimes is much too easy to turn off. Because I am hard of hearing. My husband has trouble waking up with our present alarm clock. It is pretty soft sounding. It's for our aunt. A regular alarm does not wake her up. I'm very hard of hearing, my husband usually has to shake me awake to turn my alarm off. Hope this works. Need loud alarm clock to wake up. keep one on hand and give a second one. At age 86, my hearing has diminished. I need a good, loud alarm if I have to get up early for an appointment. I work the night shift and sometimes I don't sleep well and am concerned I will sleep through my alarm. I adhering impaired. Can't sleep with hearing aids and I just can't hear the regular alarm clocks. I thought I would try this one. Will this work for nearly deaf people? BEST ANSWER: I am nearly deaf in one ear and usually sleep with my "good" ear buried in the pillow. it is louder than my previous clock, but I can barely hear it. I am a very light sleeper, so it wakes me up eventually. NO IN MY OPINION IT WILL NOT! i am not nearly deaf but *I* can't hear it when it goes off. If you have it close to you. It is not as loud as the manual ones.